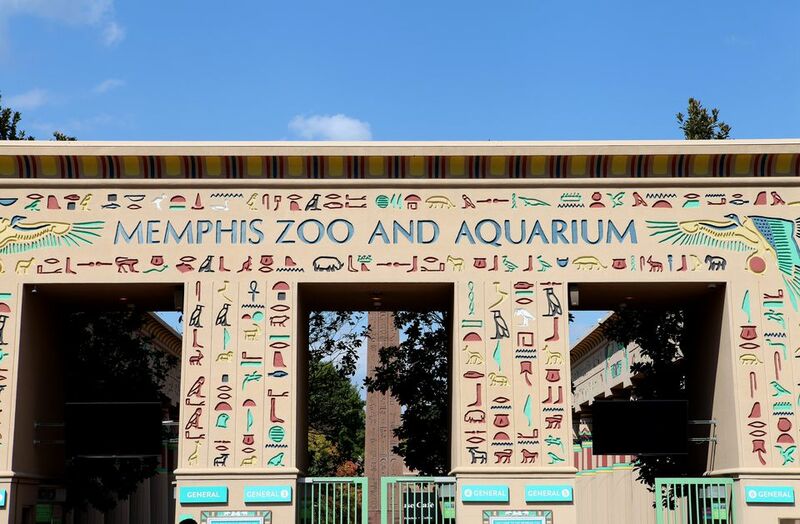 The Memphis Zoo has been one of the city's most popular attractions since its beginnings in 1906. With approximately 2,800 animals representing 400 species housed on its 70 acres, the Zoo offers hours of entertainment and education for kids and adults alike. The Memphis Zoo's first resident was a black bear named Natch, a retired baseball mascot. The Memphis Zoo was home to the world’s longest living hippopotamus, "Adonis," who died in 1965 at the age of 54. The male hippo sired approximately 25 offspring in his lifetime giving the Zoo claim to being the "hippo capital of the world." The famous lion roar heard at the beginning of classic MGM movies was recorded in the old Carnivora Building at the Memphis Zoo. The lion, known as "Volney" to his keepers, died in 1944. The Memphis Zoo is located in Overton Park in Midtown Memphis. The zoo's address is 2000 Galloway Avenue, Memphis, TN 38112. Galloway Avenue is off of McLean Boulevard, just south of North Parkway. Zambezi River Hippo Camp - The newest exhibit at the Memphis Zoo is home to three hippos, Nile crocodiles, patas monkeys, okapi, and a tropical bird area. There are overheard and "underwater" observation areas and an African-themed central pavilion. Animals of the Night - One of the nation's few nocturnal exhibits, featuring bats, porcupines, aardvarks, and other day sleepers. Cat Country - A three-acre open-air exhibit that houses lions, tigers, panthers, and other "big" cats. China - This exhibit is home not only to ​giant pandas but also to other Asian animals such as cranes and magpies. Primate Canyon - An outdoor exhibit featuring gorillas, orangutans, and monkeys. African Veldt - An outdoor exhibit with large mammals such as elephants, giraffes, and zebras. Northwest Passage - The Northwest Passage has an underwater viewing building, a sea lion observation bubble, and also features polar bears and bald eagles. Teton Trek - Grizzlies are the kings (and queens) of rock and roar at the Zoo's Teton Trek exhibit, joined by elk and timber wolves as they represent the animals of Yellowstone's ecosystem. The exhibit features a lodge, a 20-ft waterfall, a 30-ft geyser, and a fishing pond for the Grizzlies. Aquarium - The indoor aquarium houses both fresh and saltwater fish, as well as other sea wildlife. Herpetarium - Commonly referred to as the "Snake House," the herpetarium also houses alligators, lizards, and frogs. Once Upon a Farm - An indoor and outdoor exhibit featuring farm animals such as horses, cows, donkeys, and prairie dogs. Komodo Dragons - An indoor and outdoor exhibit which is home to the Zoo's three giant lizards.